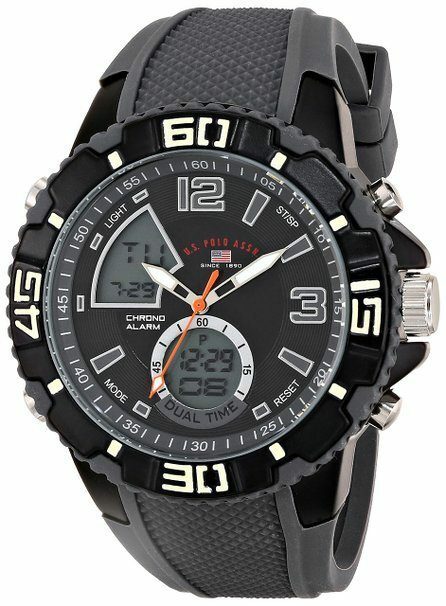 U.S. Polo Assn Men's Sports Watch Only $21.99! You are here: Home / Great Deals / Amazon Deals / U.S. Polo Assn Men’s Sports Watch Only $21.99! U.S. Polo Assn Men’s Sports Watch Only $21.99! Head to Amazon to to get a great deal on this U.S. Polo Assn Men’s Sports Watch for Only $21.99! This is a sporty U.S. Polo watch, casual for everyday attire. It consists of updated classic timepieces geared for a more fashion conscious consumer. The watches are designed with larger cases to create a fresh look!